Friday 15 & Sunday 17 November. 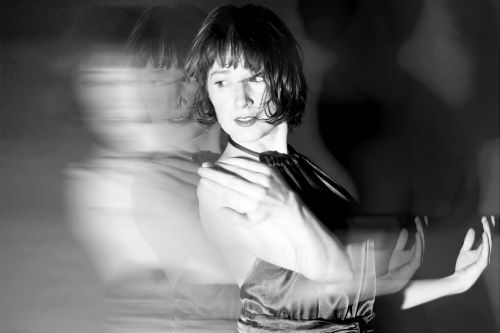 Jo Meredith trained at London Studio Centre and the London Contemporary Dance School. She has worked as a dancer for dance companies including National Dance Company Wales (formerly Diversions), Maiden Voyage and Combination Dance and as a freelance artist for choreographers including Drew McOnie, Lucy Burge, Kate Flatt, Adam Hougland and Susie Crow. She took part in the UK tour and Broadway transfer of Didy Veldman's Peter and the Wolf and was part of Wayne McGregor's Dancelines programme at the Royal Opera House. Last year she was swing on Will Tuckett's Wind in the Willows at the Linbury Studio Theatre and is delighted to be returning for the show's West End transfer. Her career as a dancer is paralleled by a career as a choreographer and her work has been performed at venues including Sadlers Wells, The Place's Robin Howard Dance Theatre, The Blue Elephant, The South Bank Centre, The Bridewell Theatre, The Arcola, St James’s Piccadilly and Christ Church Spitalfields. In 2010 she created movement and choreography for the National Youth Ballet's production of The Rainbow Bear based on a story by Michael Morpurgo with music by Stephen Barlow and narration by Joanna Lumley which was performed at The London Palladium. Through the use of contemporary dance and spoken word, Chimera will explore the themes of illusion and delusion. What is real for us and what is simply a trick of the mind or our imagination? How can one ever really know the truth of a situation. Is life simply an illusion?